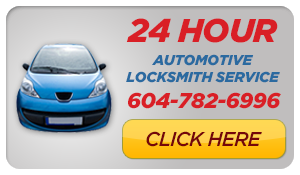 For further information go to Mr. Locksmith Squamish. The Invasion : The Largest Naval Battle of World War II and the First Kamikaze Attack. General MacArthur said “I shall return” and he did. The US Navy basically bomb the heck out of Leyte and the interesting other parts, there are better other documentaries you should see, this was the biggest naval war battle in the entire World War II. This is where the Japanese put in the last stand fight. Basically, Leyte’s in the middle of the Philippines. This cut off the southern and the northern part of the Japanese navy. They came in here in mass. There was a massive naval battle, and it’s unreal when you hear about the documentaries on this, but basically a few ships, where they were told to retreat, they actually went in, right into the middle and they fought like heck and they actually discouraged the Japanese so bad they pulled off, and then the American Navy just wiped them out. The landing here, this beach, is actually called Red Beach from all the blood that was split here. Now the reason MacArthur came here, its smack in the middle. He could cut off the oil to Japan, but more importantly, five kilometers from here is the airbase in Tacloban. The airstrip that’s still here to this day and is now a modern Airport. They took them a while to get it. 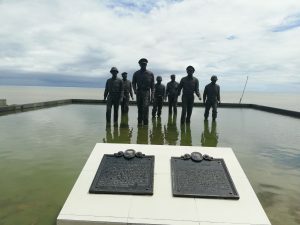 They actually, over a hundred thousand Japanese troops died defending, to the last it was kamikazes, and the Americans lost 15 thousand plus men taking this area, taking the airfield, and then moving their way up to Ormoc to get the deep-water port so they could invade on the way to Manila. The other interesting thing, here was one of the first kamikaze attack that actually, the very first kamikaze attack was out here in this general area in the navy there. There was twenty Japanese special planes set up with 500 pounds of TNT. They had 20 of them. They couldn’t find anybody for a long time. Finally, they did find a ship, and that was the very first of the kamikazes, so it just shows how desperate they were. But again, biggest naval battle in World War II. There’s dozens and dozens of ships, hundreds of ships around the whole area. It basically broke the back of the Japanese Navy. They had no more large aircraft carriers before this battle. This cleaned off everything else they had, every other small aircraft carrier, took out some of their biggest destroyers, cruisers, everything. And again, it was just a few ships, American ships, that basically turned the tide that could’ve been a big slaughter out here. And again, they got the airfield. The interesting thing is, this area is famous for Yolanda, which was the biggest typhoon, the biggest winds ever recorded on Earth. Basically, the Americans wanted to get off of here as quick as they could because the weather, it rains and it’s so bad they couldn’t get the air covers they wanted so they got their foothold here, and then they moved all the way up to Manila. So again, I hope you enjoy the pictures here, and again, very very famous spot. This is MacArthur Memorial Park. It’s very popular as you can see, and it’s a great park and it’s really interesting history here, and all around here. I hope you enjoyed watching this video. Subscribe to my channel. Also, visit my website, and you can see what online locksmith training I have for beginners, intermediate, and advanced, as well as my covert methods of entry and my nondestructive methods of entry.